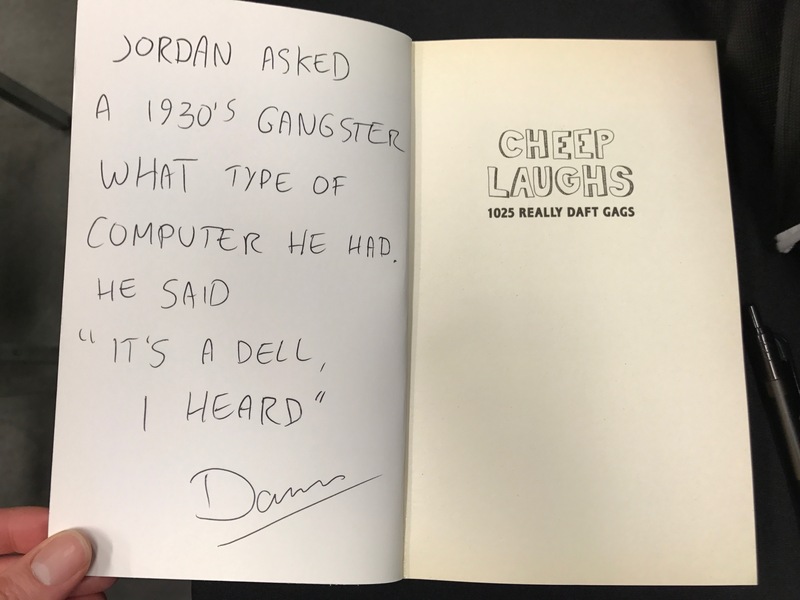 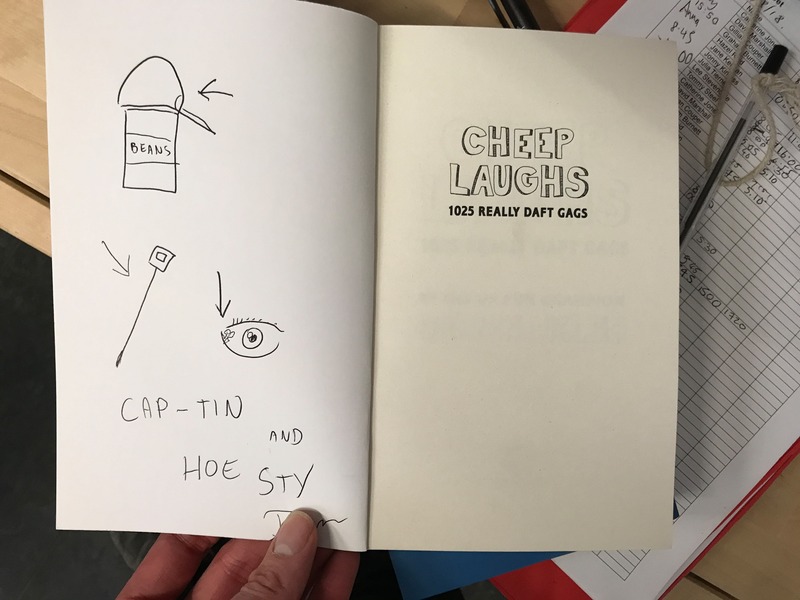 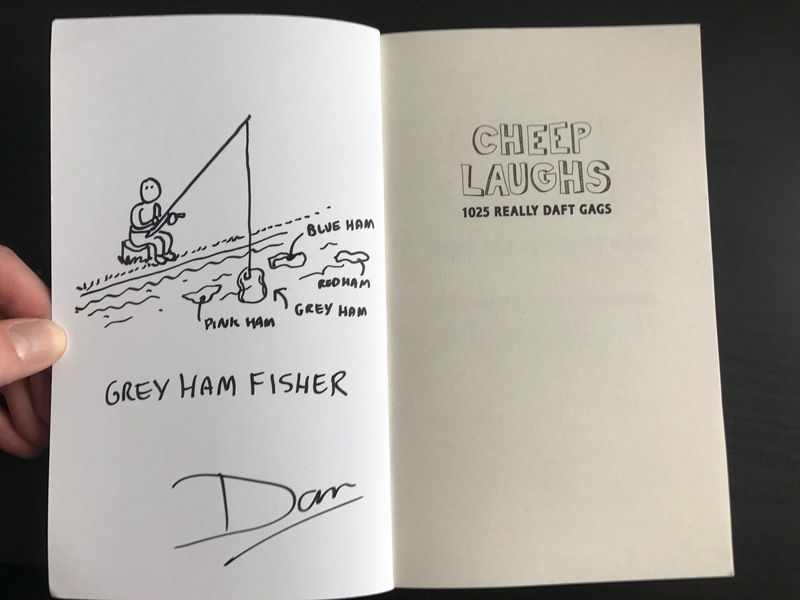 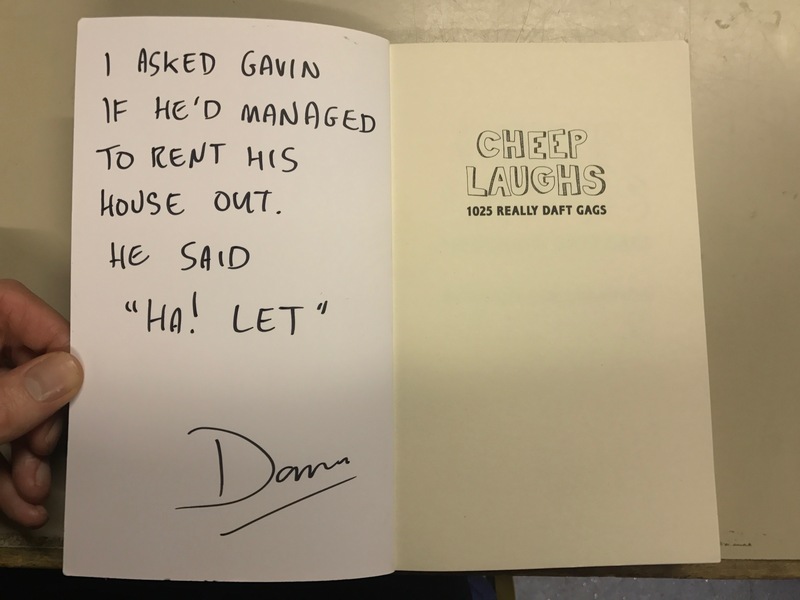 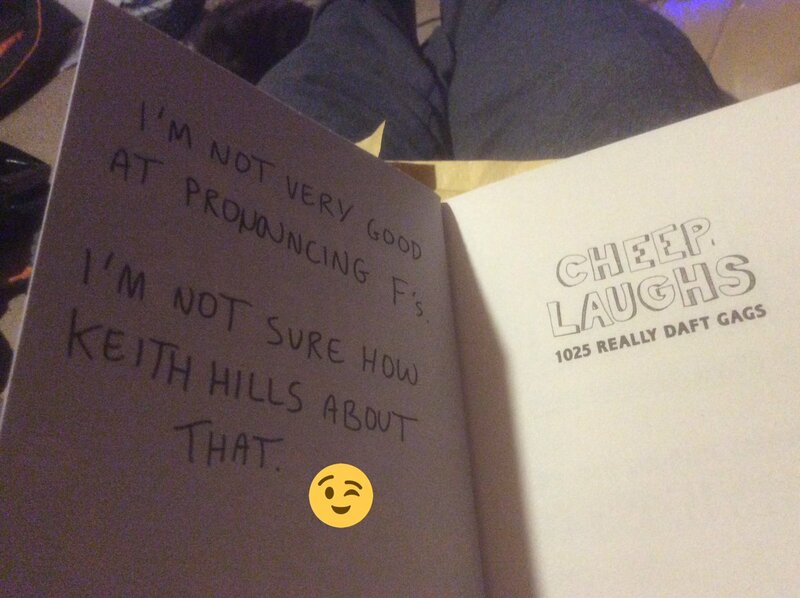 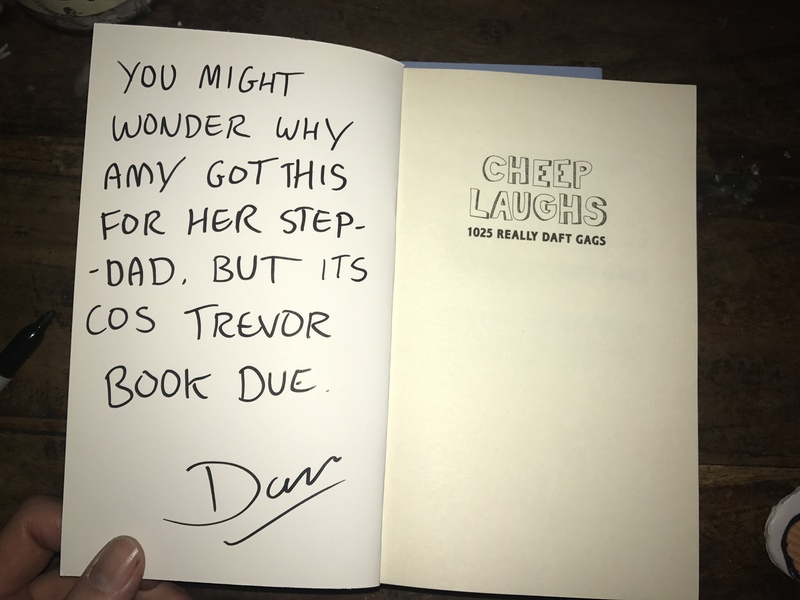 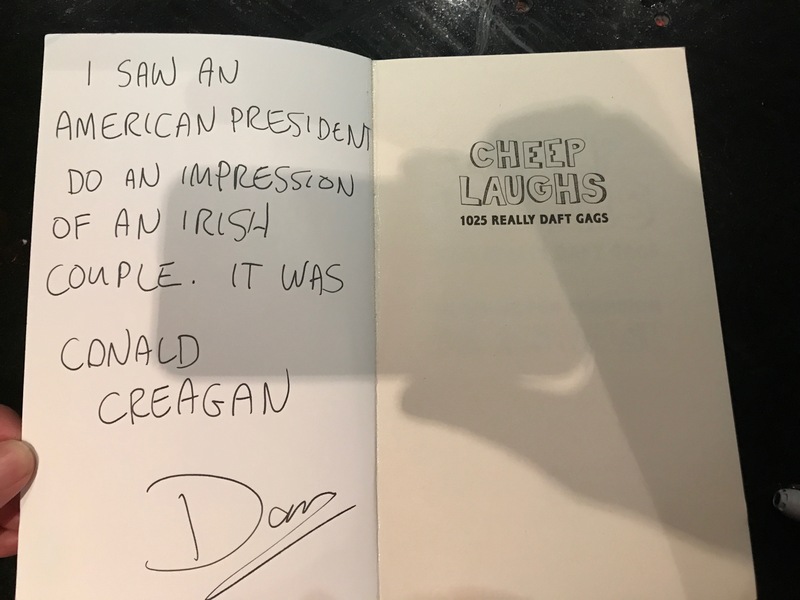 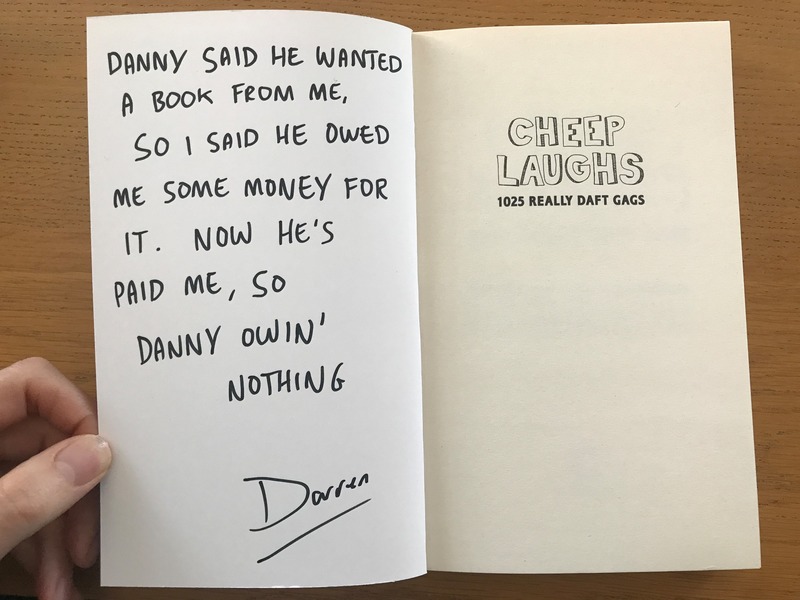 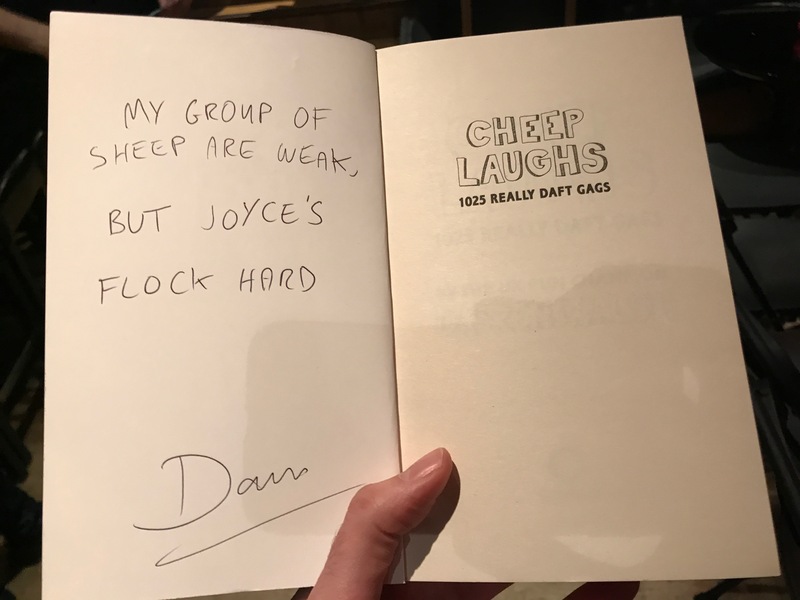 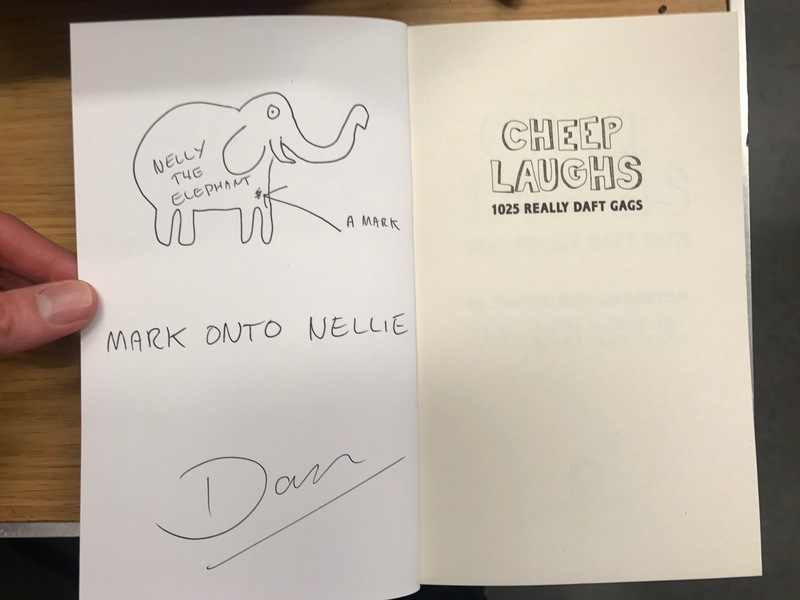 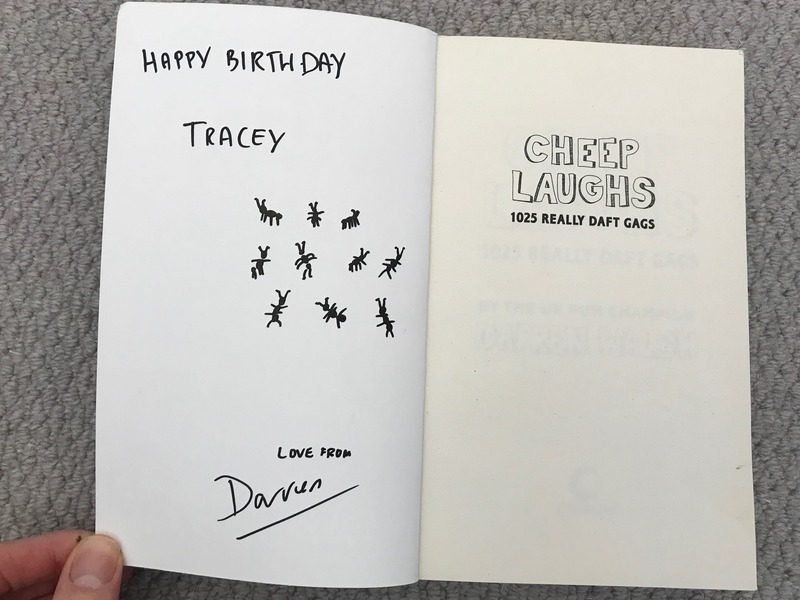 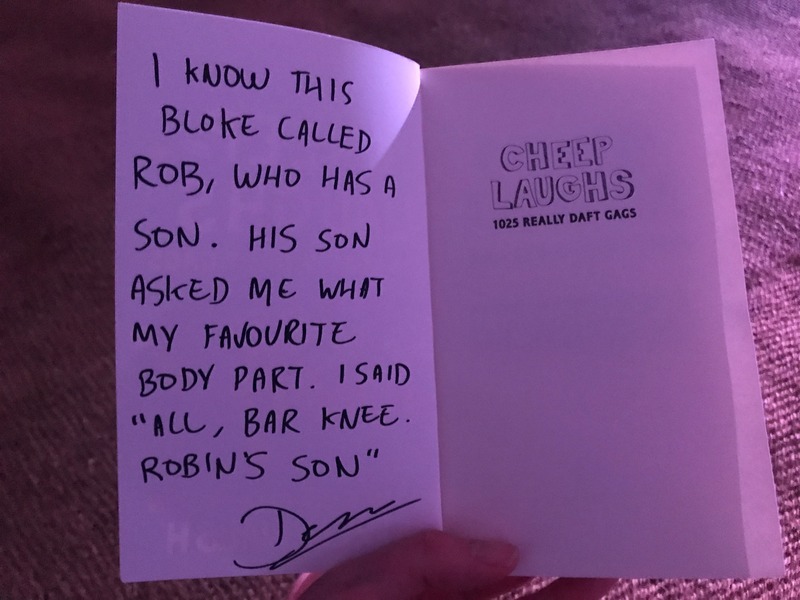 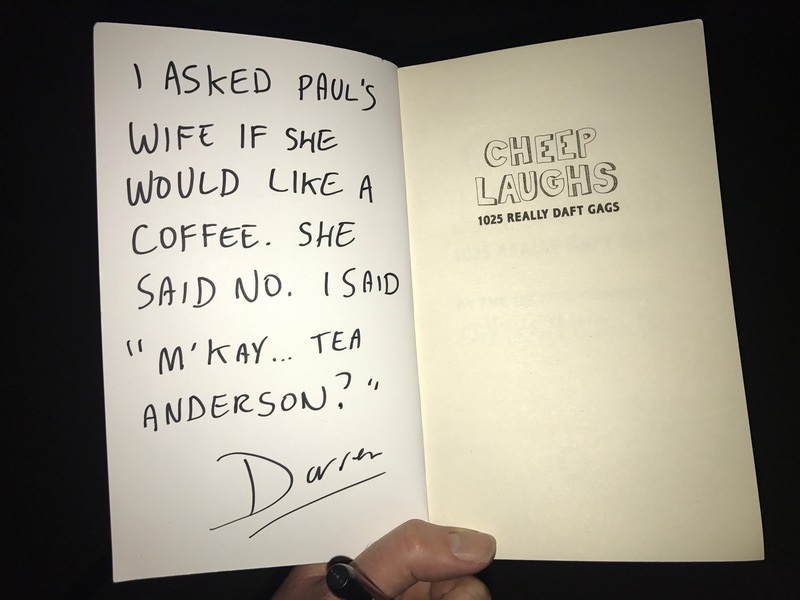 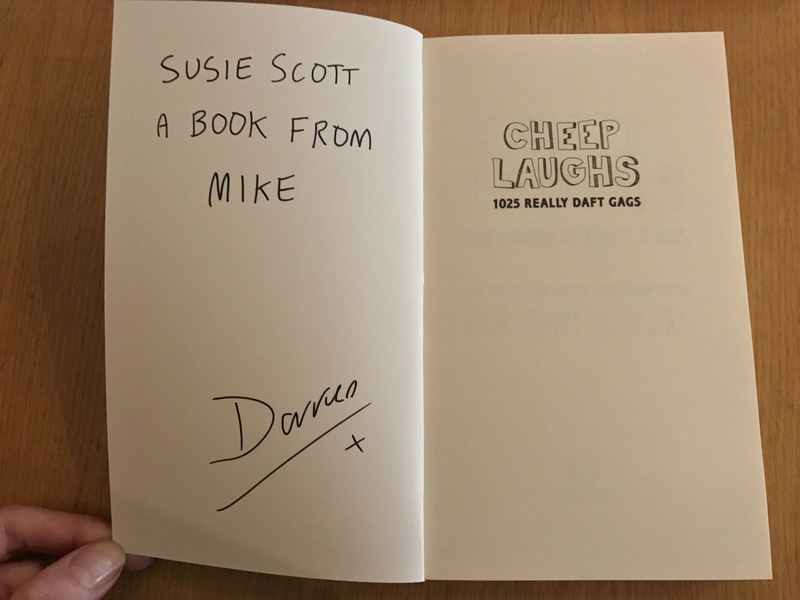 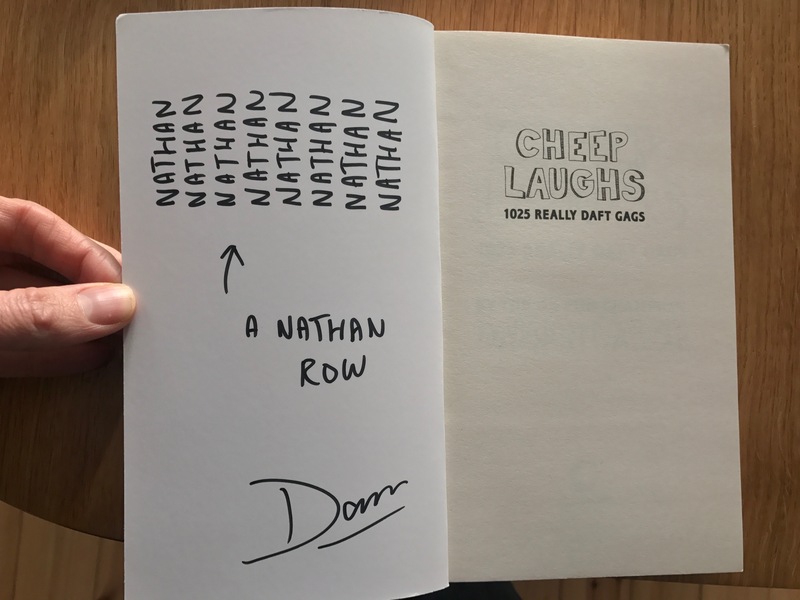 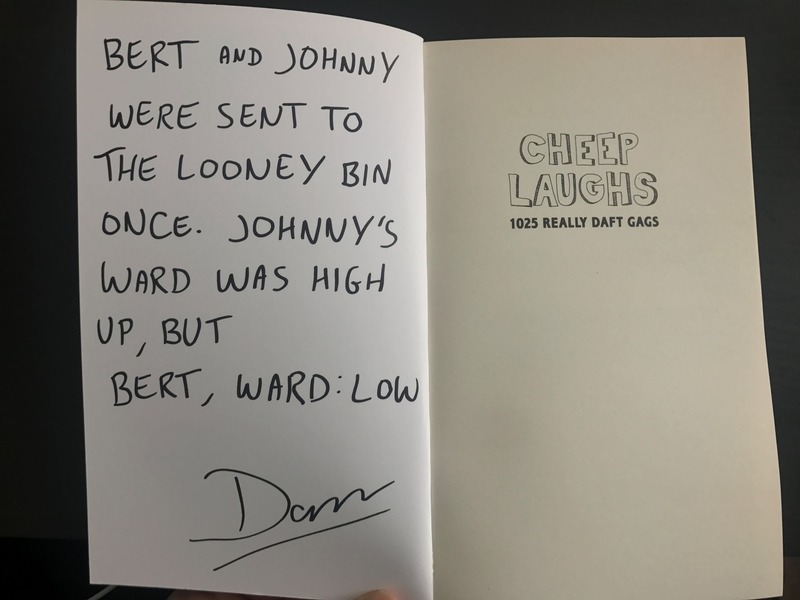 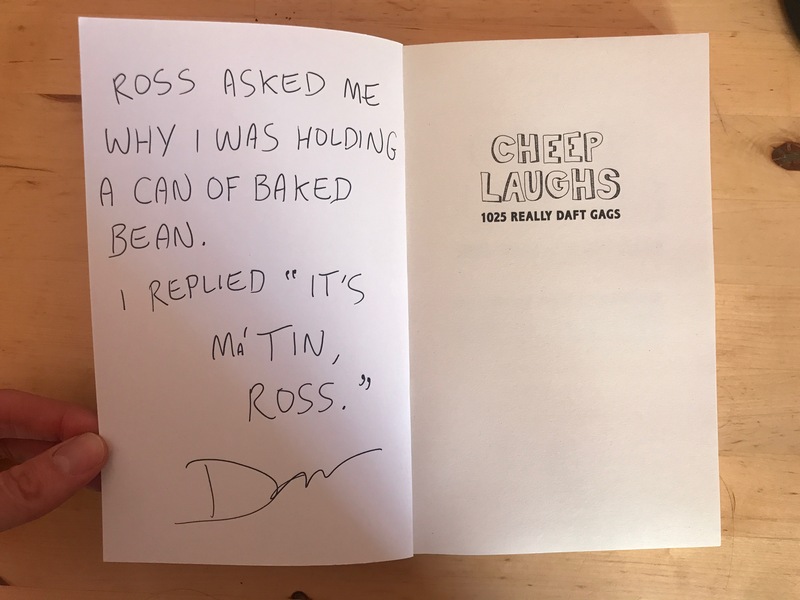 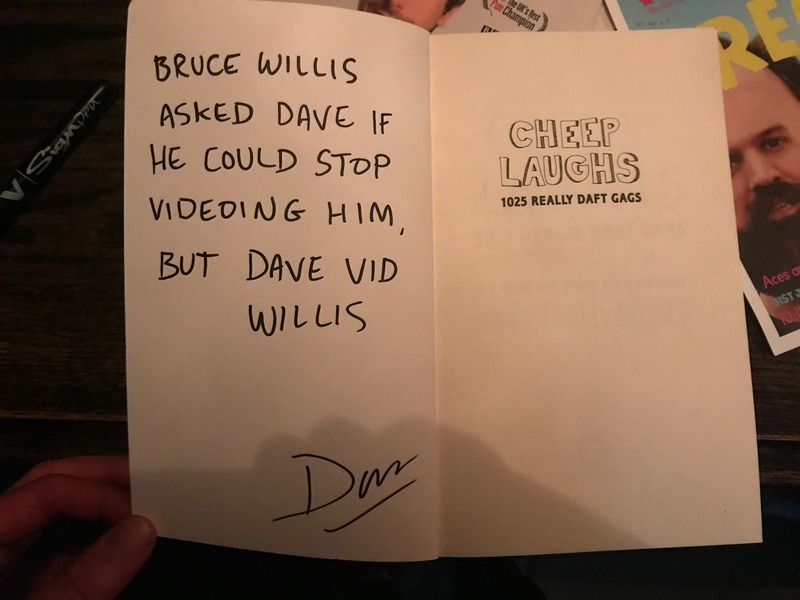 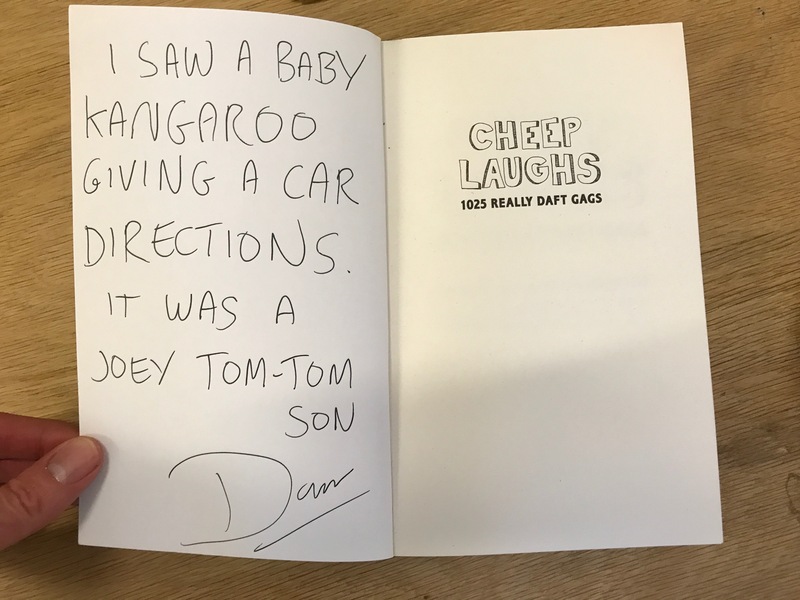 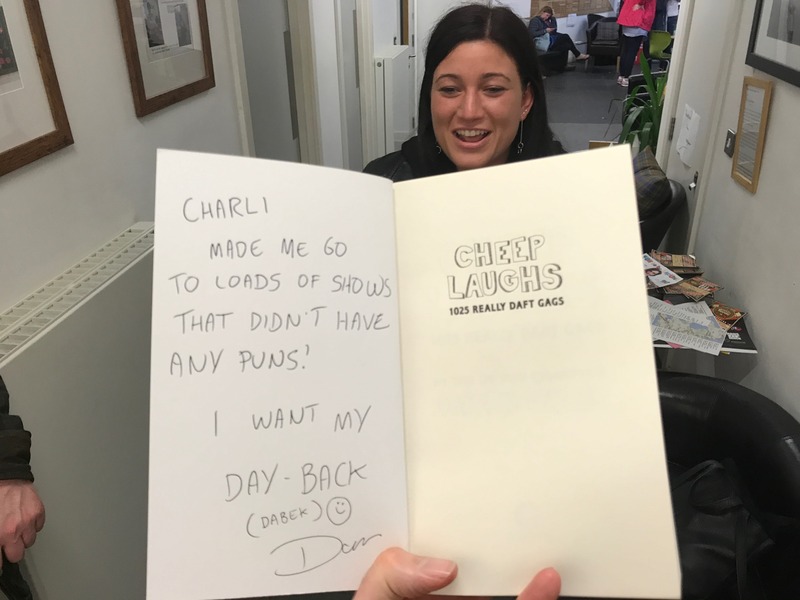 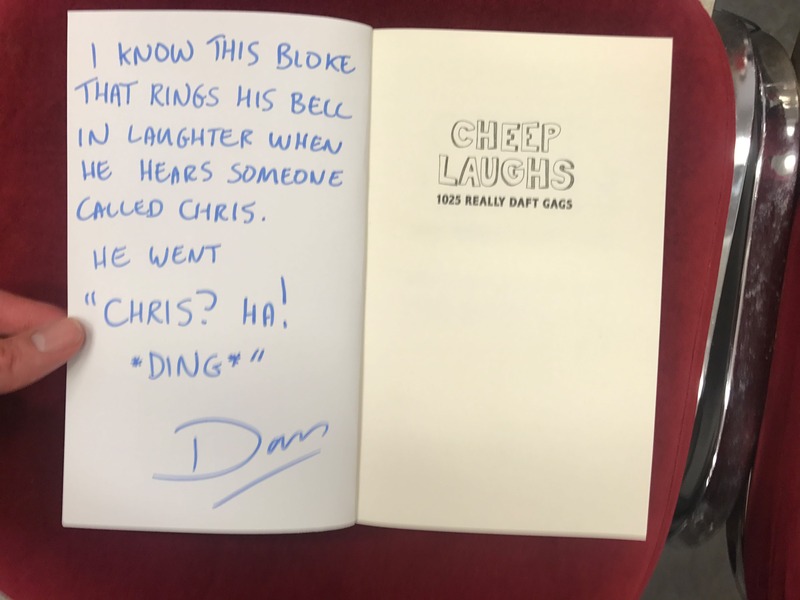 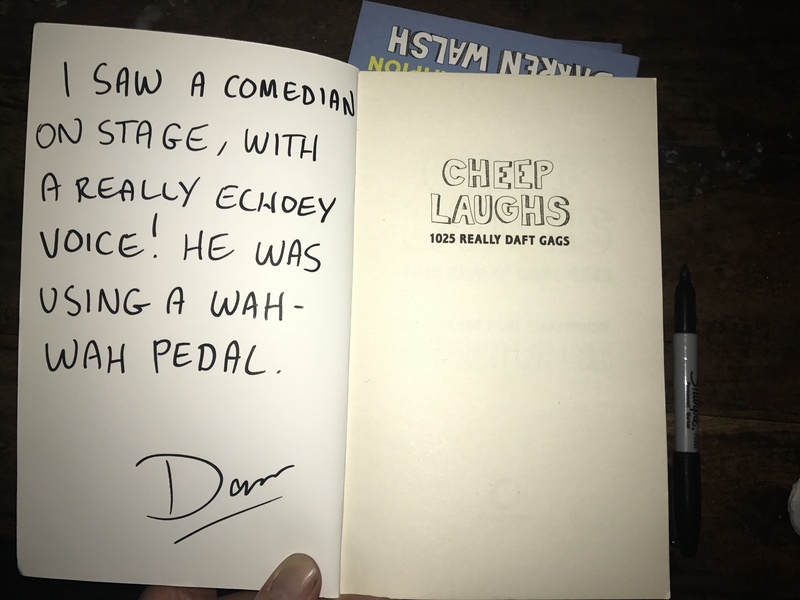 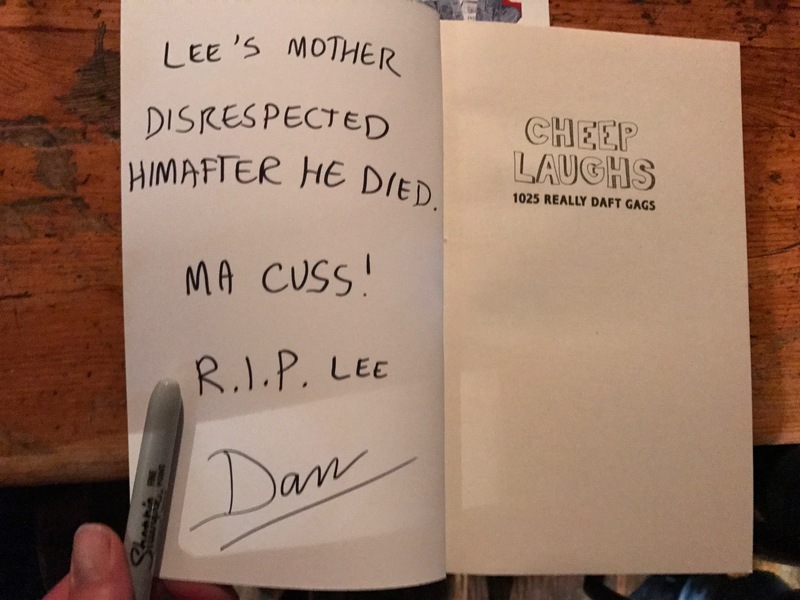 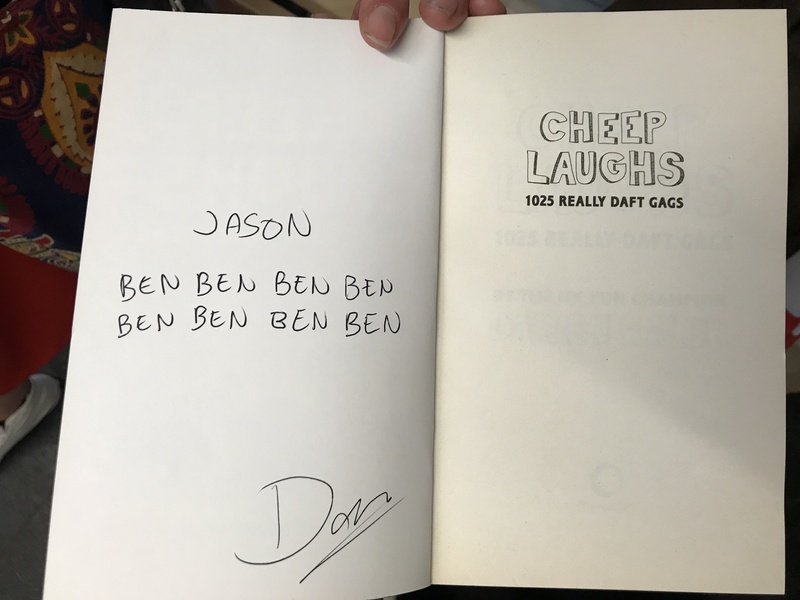 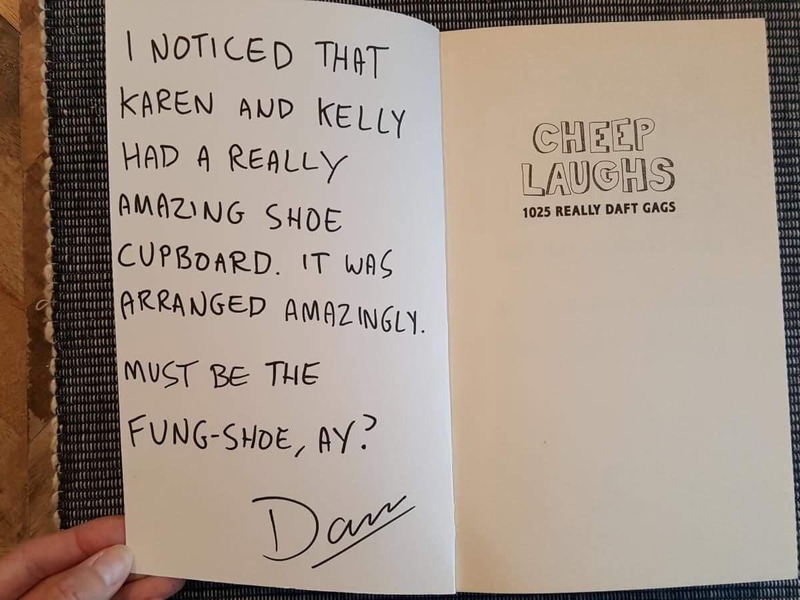 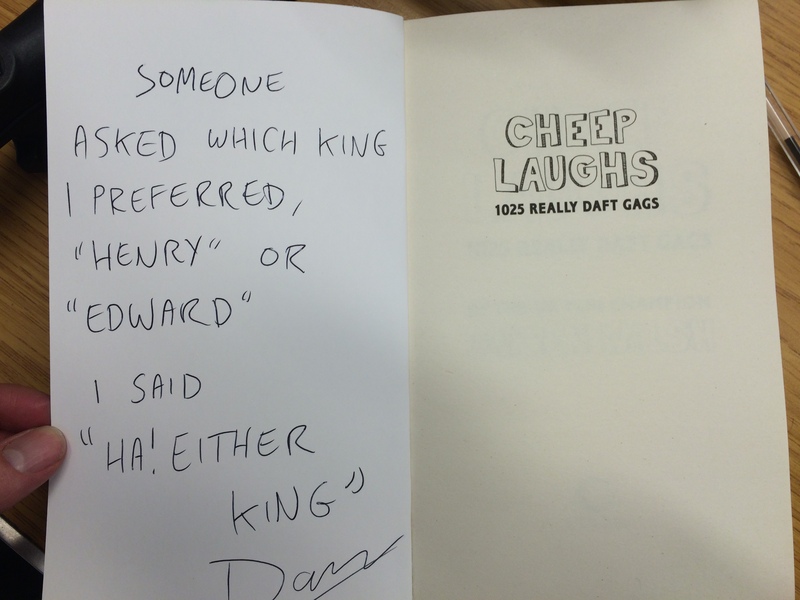 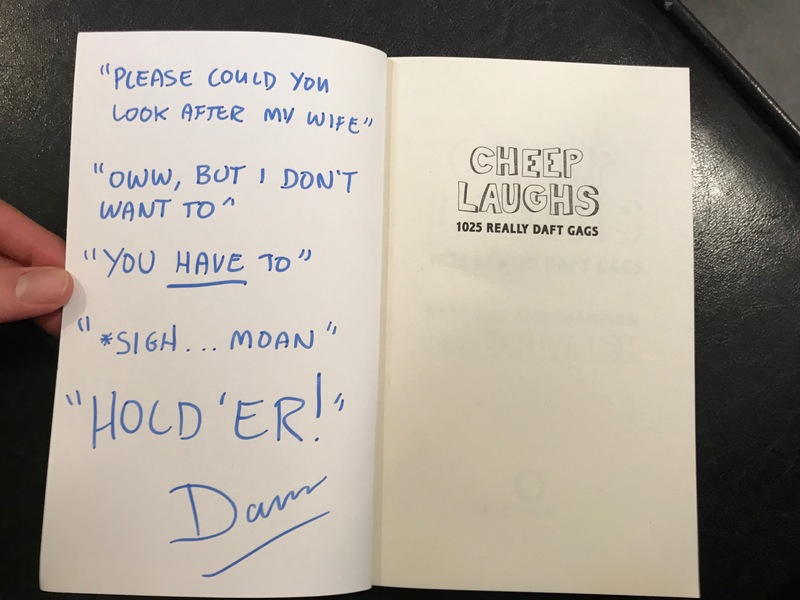 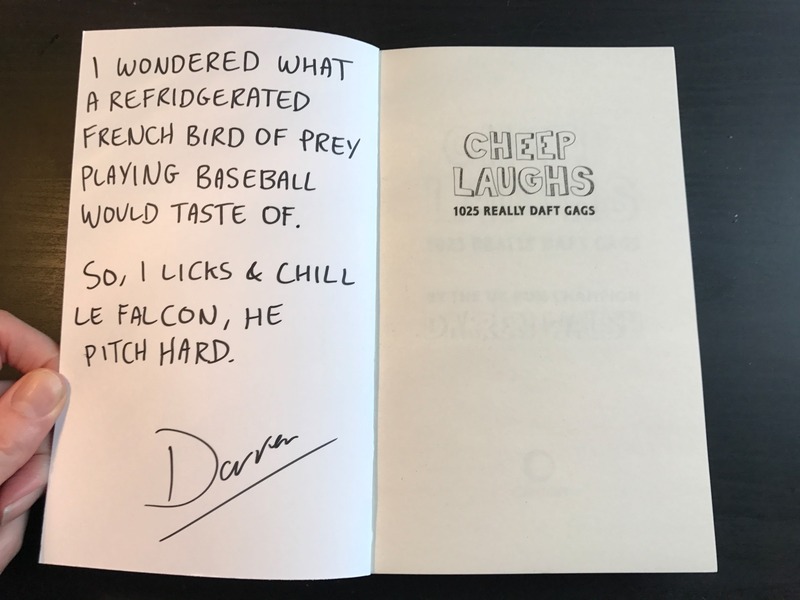 Cheep Laughs is my first joke book and contains over a thousand jokes and drawings. 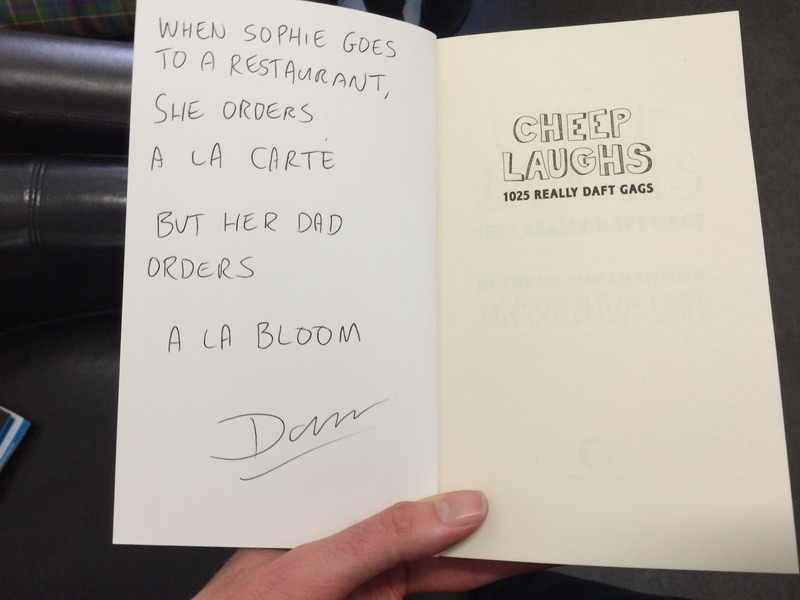 It is published by Penguin Random House and is available on Amazon. 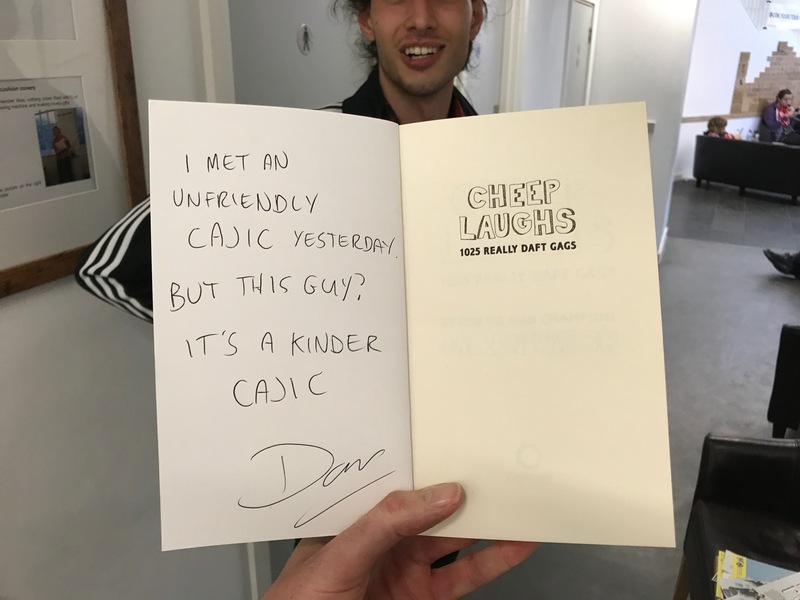 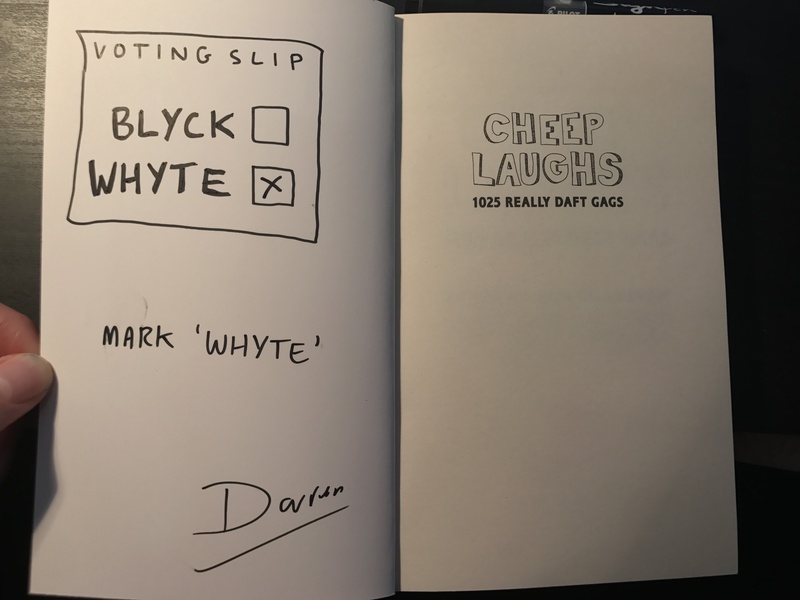 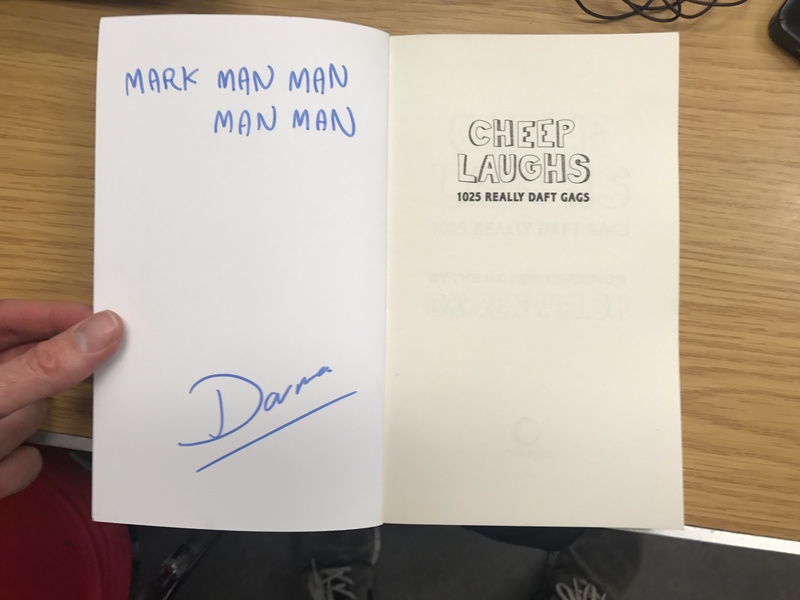 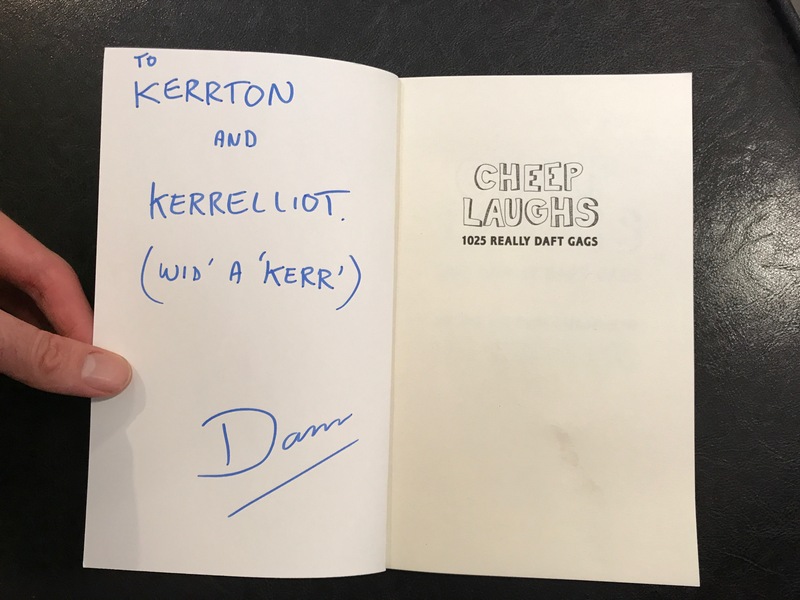 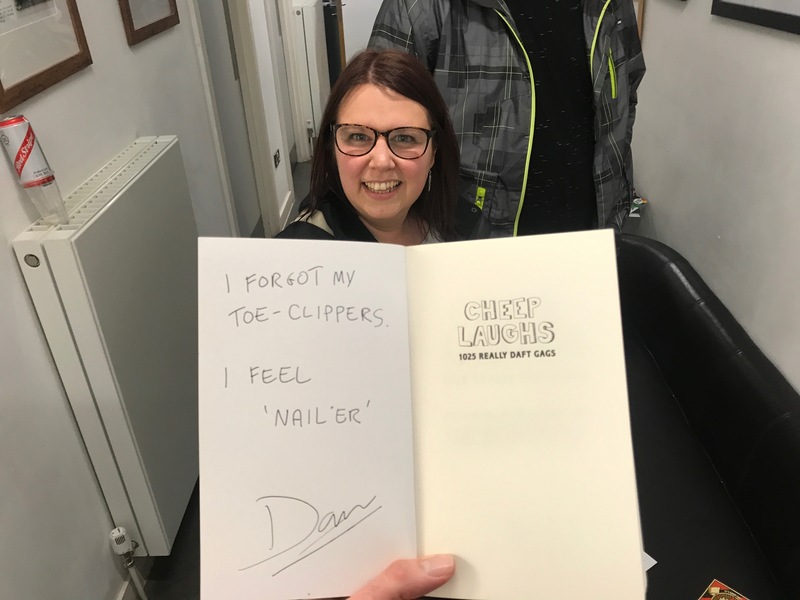 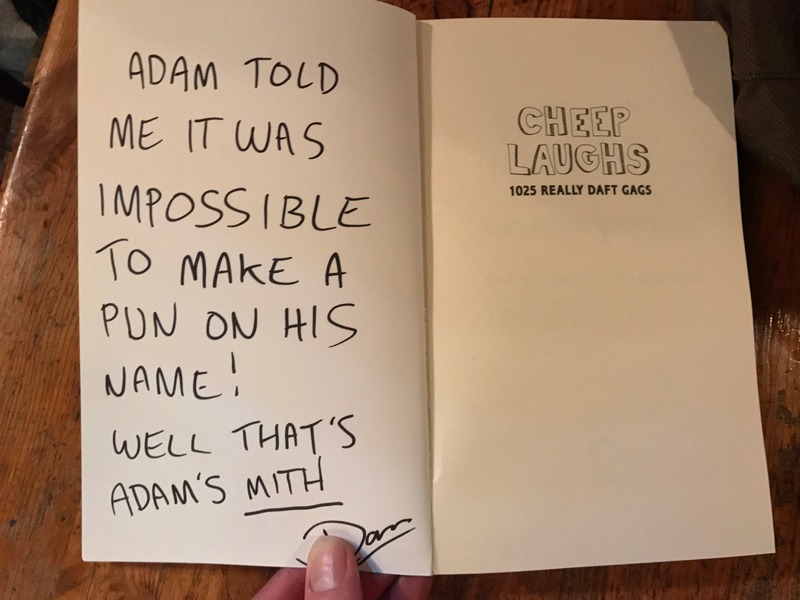 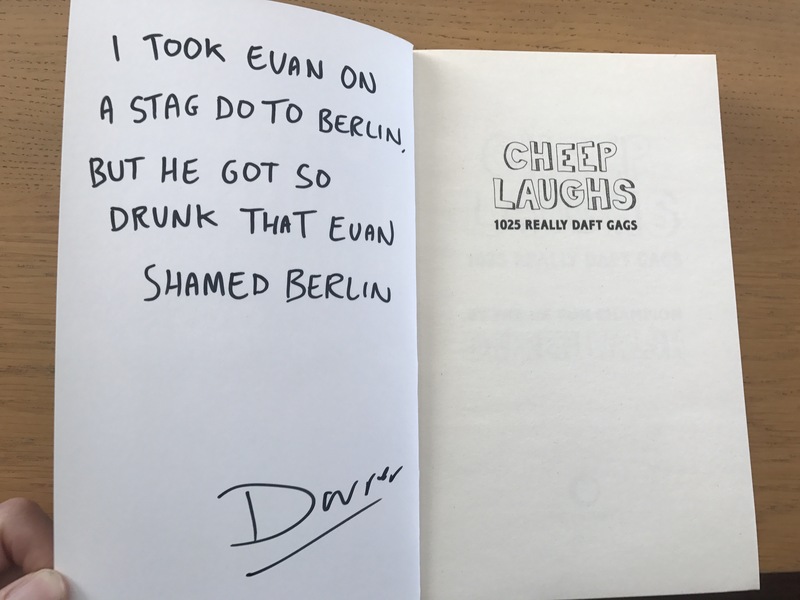 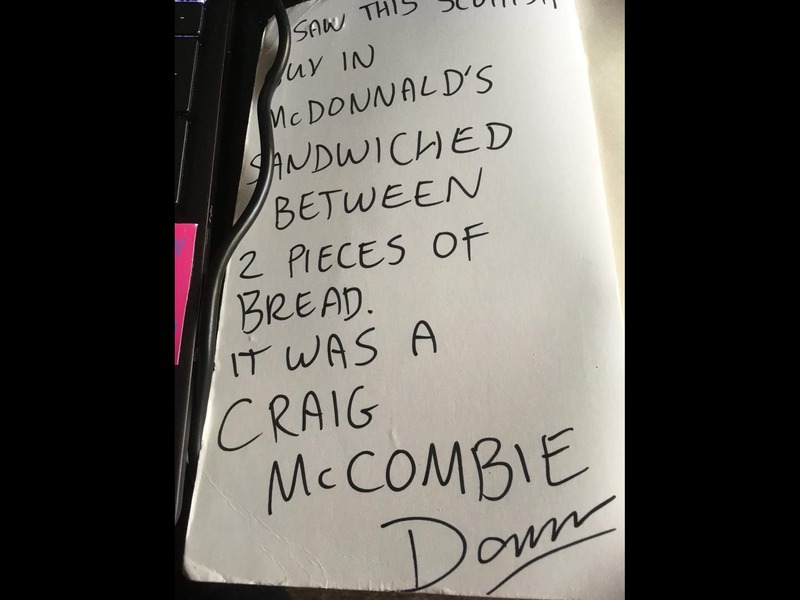 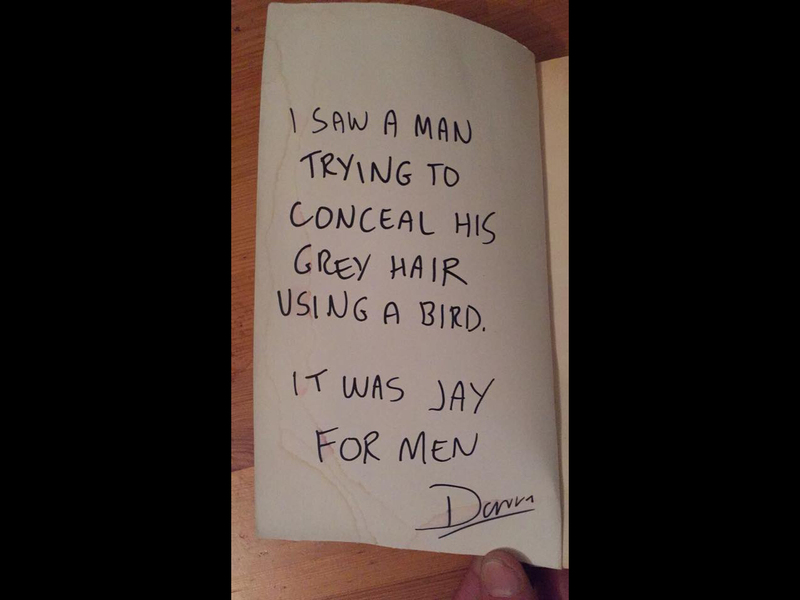 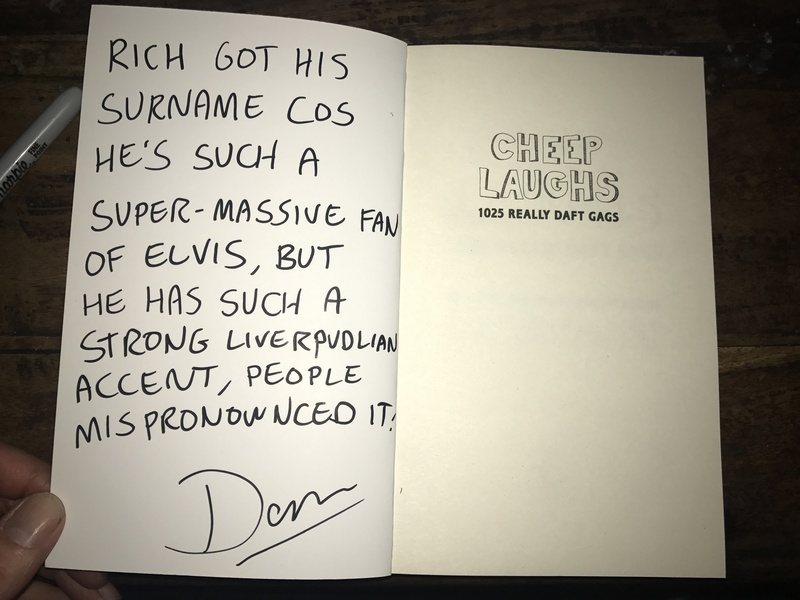 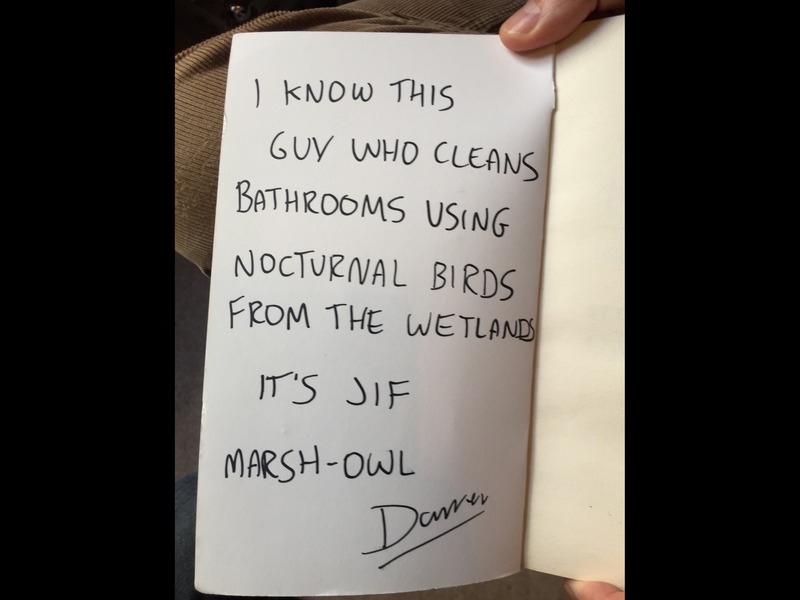 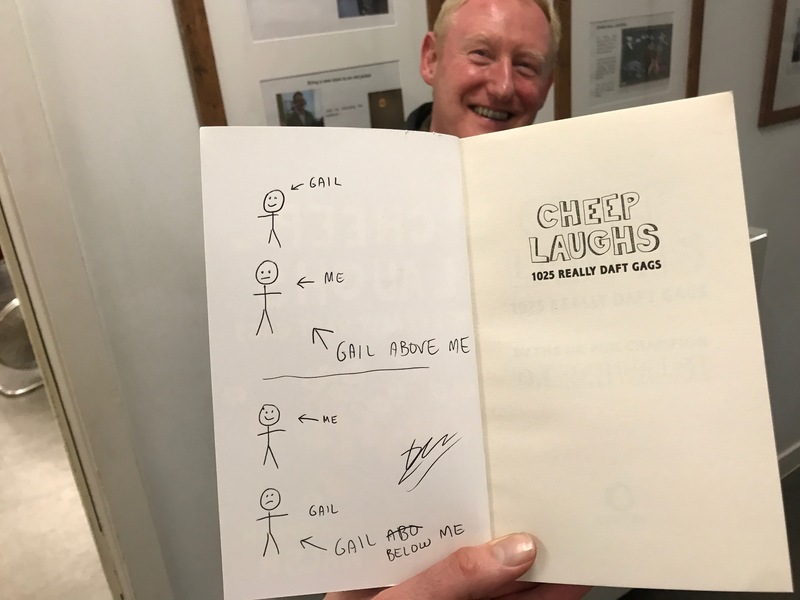 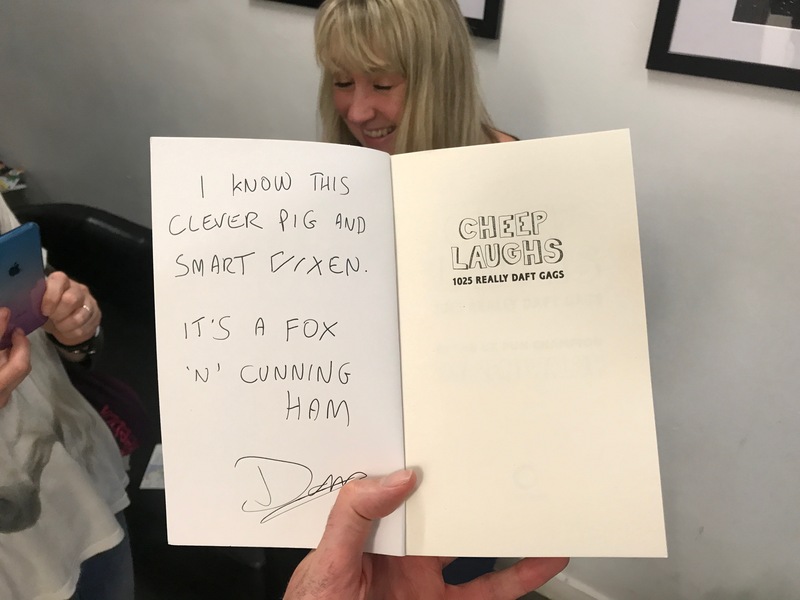 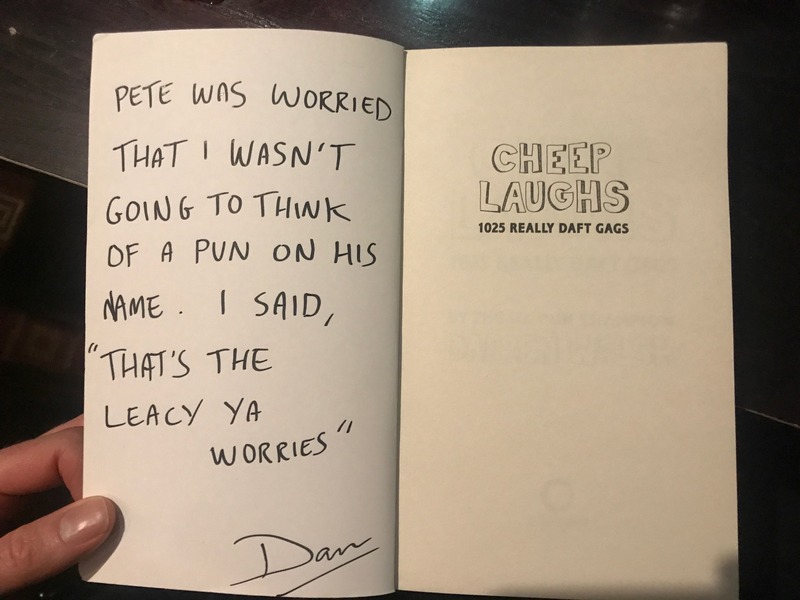 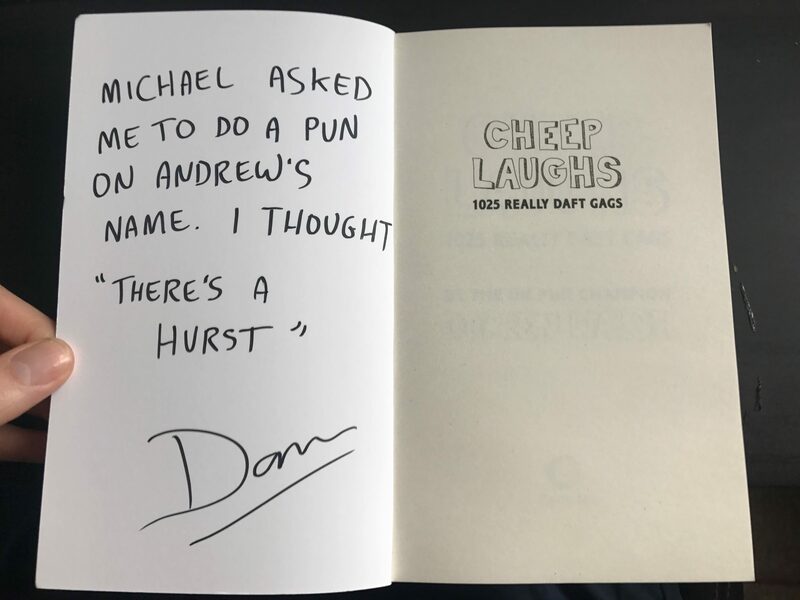 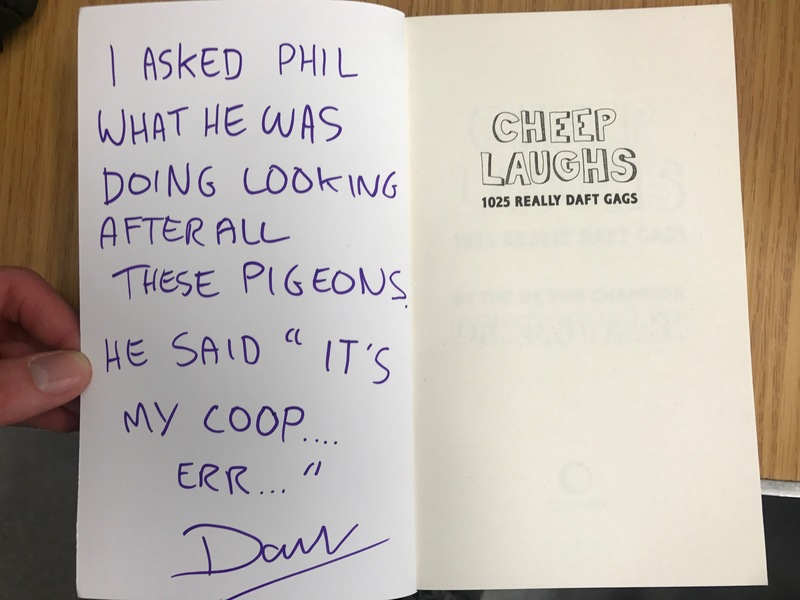 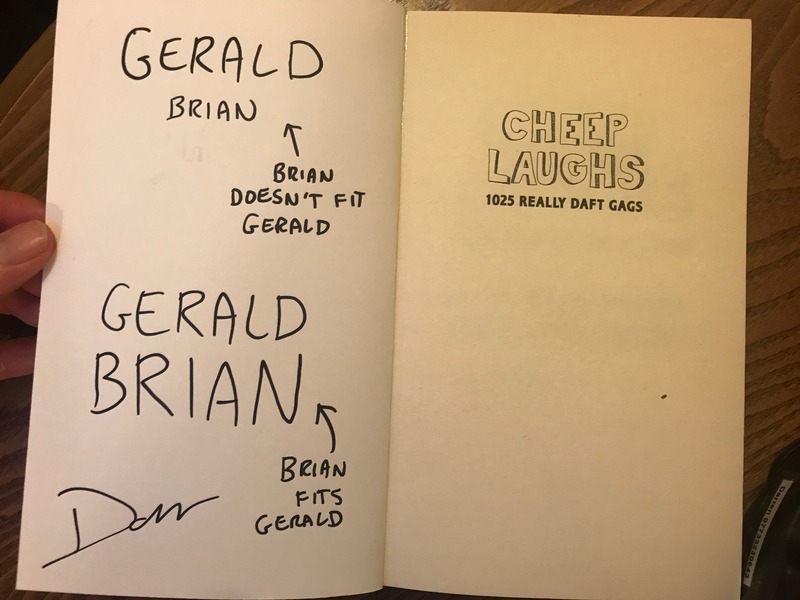 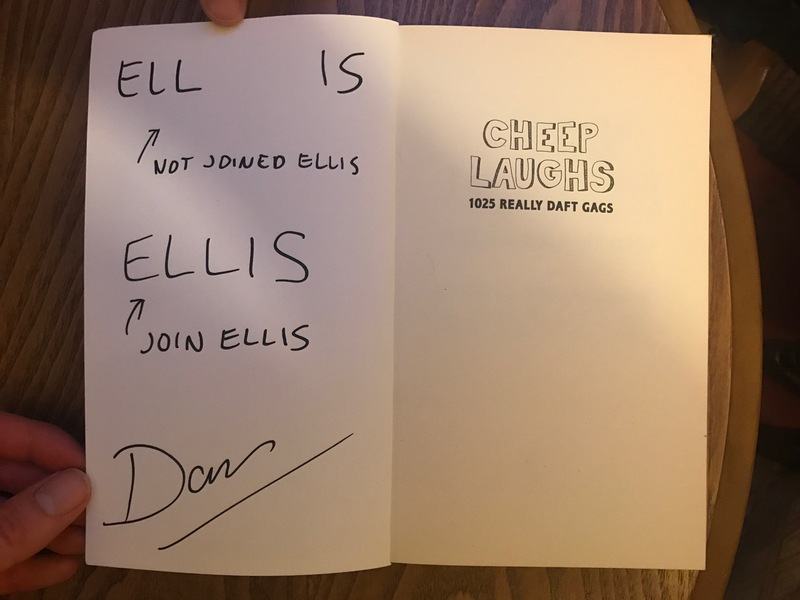 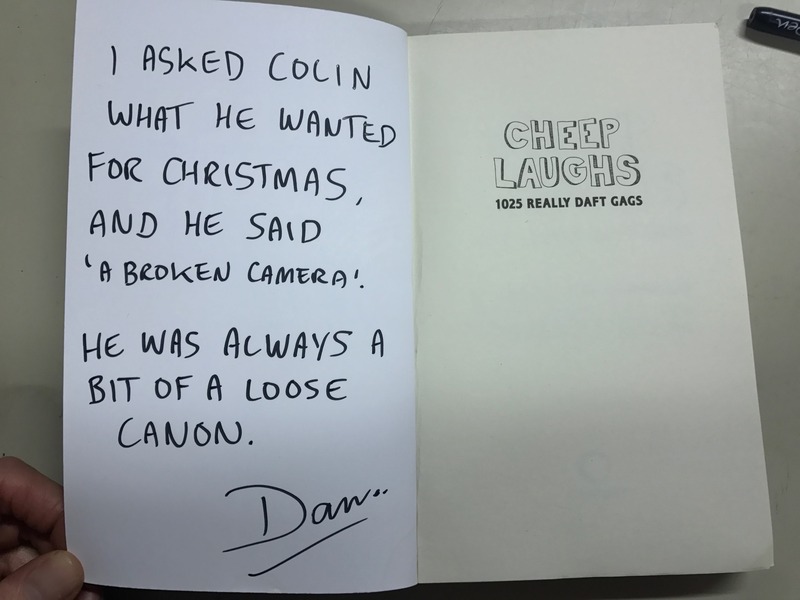 If you would like a signed copy with a bespoke pun on your (or a loved one’s) name, you can buy one for £10 + £3.35 postage. 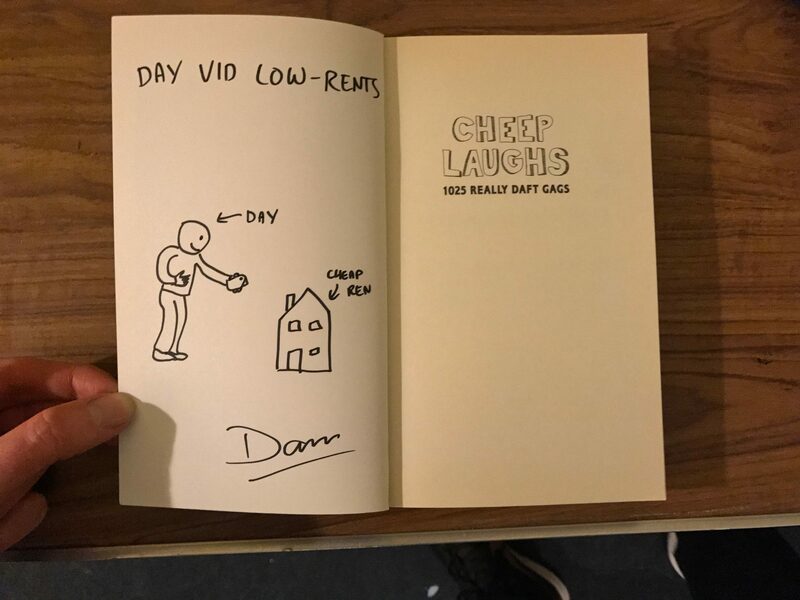 Just send £13.35 via PayPal to thegiant [a] iamagiant.co.uk. 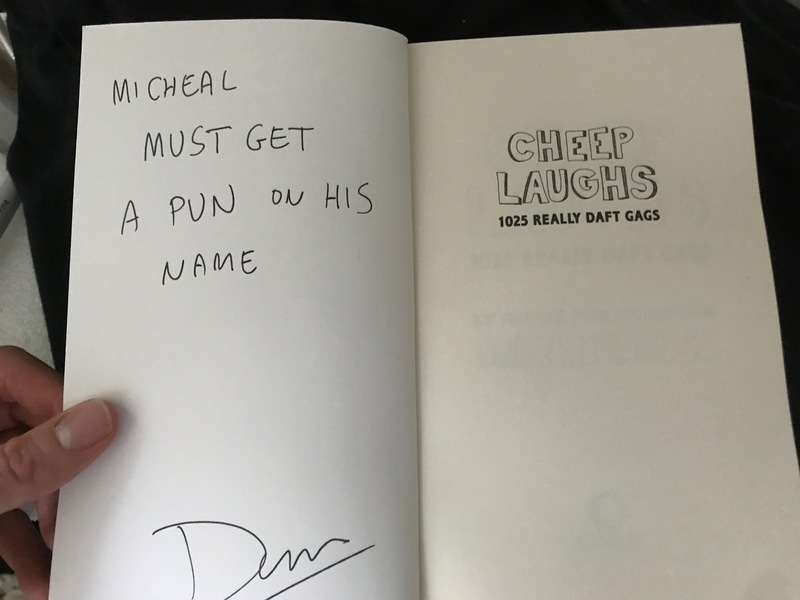 Don’t forget to let me know your (or your friend’s) name to make a pun from!